Apple and IBM have launched their first set of Cloud enterprise apps, bringing big data to iPhone and iPad users. IBM MobileFirst for iOS solutions are now available to enterprise customers in banking, retail, insurance, financial services, telecommunications, governments and airlines, thanks to the collaboration between Apple and IBM. IBM clients for IBM MobileFirst for iOS solutions include: Citi, Air Canada, Sprint and Banorte. IBM global business services senior vice president, Bridget van Kralingen, said the apps were aimed at the "new quest" of business. "Smart technologies that unlock new value at the intersection of big data and individual engagement,” she said. 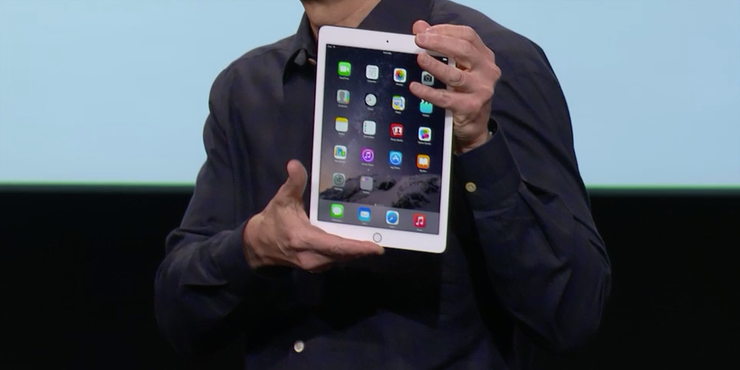 Apple senior vice president, Philip Schiller, said it was a big step for the iPhone and iPad in the enterprise. "We can’t wait to see the exciting new ways organisations will put iOS devices to work," he said. Built exclusively for iPhone and iPad, IBM MobileFirst for iOS apps are delivered in a secure environment, embedded with analytics and linked to core enterprise processes. The apps can be customised for any organisation and easily deployed, managed and upgraded via cloud services from IBM specifically for iOS devices, with security across the data, app and device. There are nine apps available following the launch. These include: Plan Flight, which addresses airline fuel costs and allows pilots to view flight schedules, flight plans, and crew manifests ahead of time, report issues in-flight to ground crews, and make more informed decisions about discretionary fuel. Also in travel and transportation, Passenger+ enables flight crews to offer personalised services to passengers in-flight – including special offers, re-booking, and baggage information. In the banking and financial sector, Advise and Grow puts bankers on premise with their small business clients, with secure authorisation to access client profiles and competitive analyses, gather analytics driven insights to make personalised recommendations, and complete secure transactions. While, Trusted Advice, allows advisors to access and manage client portfolios, gain insight from predictive analytics from a mobile device. For the insurance industry, Retention, gives agents access to customers’ profiles and history, including an analytics driven retention risk score as well as smart alerts, reminders, and recommendations on next best steps and facilitation of key transactions like collection of e-signatures and premiums. The government-focused Case Advice app addresses workload and support among caseworkers who are making critical decisions, one family or situation at a time, on the go. The solution adjusts case priorities based on real-time analytics driven insights, and assesses risk based on predictive analysis. Also for government, Incident Aware, converts an iPhone into a vital crime prevention asset, presenting law enforcement officers with real-time access to maps and video-feeds of incident locations; information about victim status, escalation risk, and crime history; and improved ability to call for back-up and supporting services. On the retail side, Sales Assist, enables associates to connect with customer profiles, make suggestions based on previous purchases and current selections, check inventory, locate items in-store, and ship out-of-store items. Further, Pick and Pack, combines proximity-based technology with back-end inventory systems for transformed order fulfillment. Lastly, the telco app, Expert Tech, taps into native iOS capabilities including FaceTime, for easy access to expertise and location services for route optimisation to deliver on-site service, more effective issue resolution and productivity as well as improved customer satisfaction. Citi, chief client experience, digital and marketing officer, Heather Cox, said mobile innovations were having a profound impact on how Citi delivered client experiences. “There’s terrific energy in our collaboration with IBM and Apple around the goal of equipping our professionals with mobile capability that will create new competitive advantage and enable us to re-imagine how we share our knowledge to improve the quality of life for our clients." The Mobile Platform and Enterprise Integration leverages IBM’s experience in design and enterprise systems integration from analytics, workflow and Cloud storage, to fleet-scale device management, security and integration. Enhanced mobile management includes a private app catalog, data and transaction security services, and productivity suite for all IBM MobileFirst for iOS solutions. In addition to on-premise software solutions, all these services will be available on Bluemix - IBM’s development platform on the IBM Cloud Marketplace. While AppleCare for Enterprise IT departments offers 24/7 assistance for devices, with on-site service delivered by IBM.